Hepsia's Domain Manager will grant you absolute command over your domains. You can register and transfer a domain from one location, update its name servers, upload files, create electronic mail and FTP accounts, create sub-domains, explore traffic stats, etc. Furthermore, you can register, renew and manage multiple domain names at the same time. You will exert absolute control over the DNS records for all the domains that you have registered or transferred to us. You can even register your own name servers like dns1.your-domain.com and dns2.your-domain.com and add custom DNS resource records (A, AAAA, MX, SRV, CNAME, TXT, etc. records). 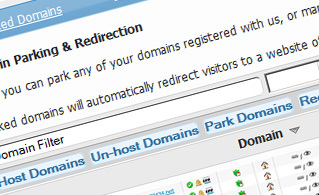 With the Domain Manager GUI, you can park any of your domains registered with us and manage already parked domains. Parked domain names will automatically redirect your visitors to a site of your choice or to a special template-based page. You can park a new domain and leave it until your site is ready. Even if you do not need a new domain at the moment, you can still use the service to reserve attractive domain names for prospective projects. The ID protection service allows you to protect your private or corporate WHOIS information. By default, when you register a domain name, your registrant data is made openly available for anyone to read. With the ID protection feature enabled, your information will be immediately masked and the WHOIS search will return the domain registration service provider's information instead of yours. Hepsia and iClickAndHost allow you to place backorders for existing expiring or expired domains. This is the perfect opportunity for you to snap that domain name you always wanted but was taken before. Placing a backorder from Hepsia is simple. Here's a guide on how to place a domain backorder. 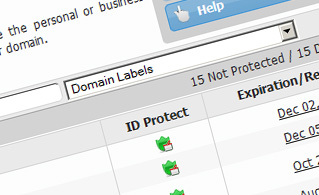 With the Domain Manager user interface, managing multiple domain names at the same time is really easy. For example, the domain name registration wizard permits you to order multiple domains at once. You will be able to just as easily renew your domain names before they reach their expiration dates. Additionally, you can harden the security of all your domains with only a single click by enabling the identity protection feature. 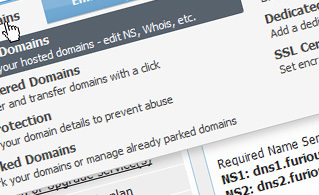 With our Domain Manager user interface, you can easily edit the WHOIS details associated with any of your domains. You can also order a new Secure Sockets Layer certificate at a reasonable price, which is obligatory if you have a web shop. 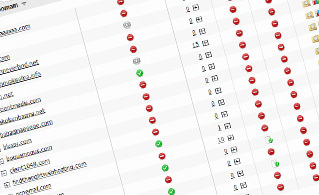 And we have included a simple tool, which will enable you to easily redirect registered domains to other web sites.